The Lingam here is in form of a black rock tilted slightly on left , other idols are of Ma Parvati, The Nandi bull idol is facing the lord Shiva at the entrance , Lord Ganesha idol is on the right side of the entrance , the other idols are of Rishi Vyas and Kal Bhairav . 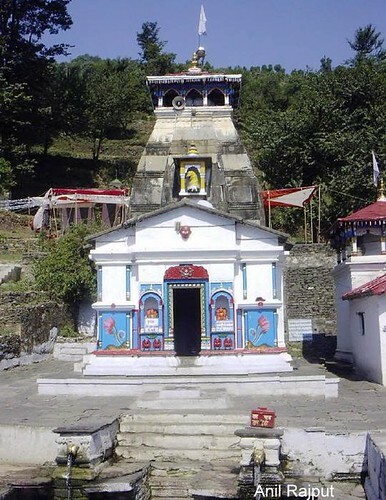 There are also images of five Pandva brothers, the temple is said to be built by one of the Pandva brother Arjun who worshiped here. 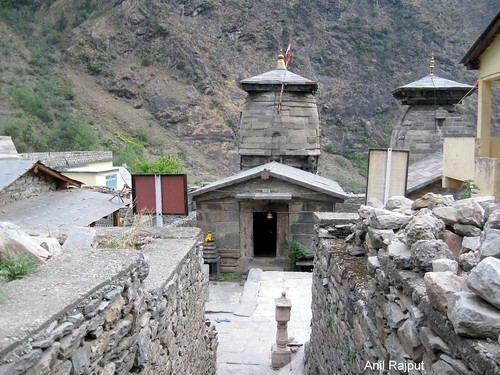 The temple style is similar to Kedarnath and Guptkashi temple. 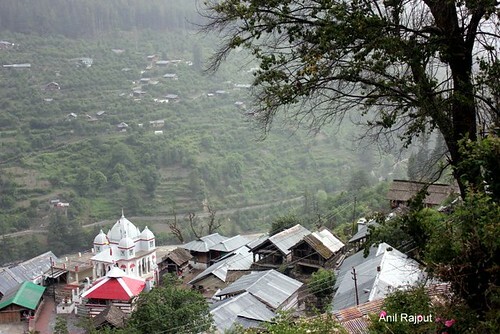 This temple was discovered by Adi Guru Shankracharya in eight century. 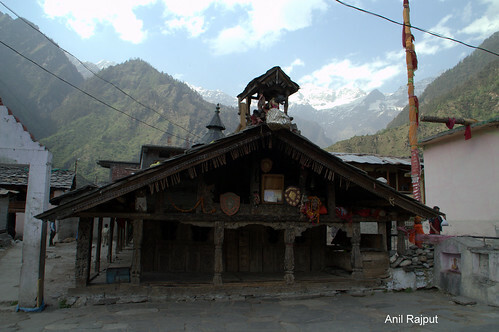 In winters the temple is closed and symbolic of the main deity is shifted to Mukunath near Ukhimath .